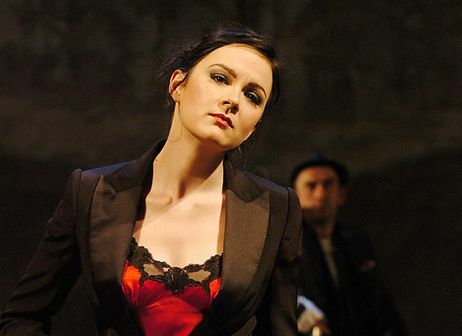 This week I have mostly been in love with Rachael Stirling. She’s been around in some classy dramas [classy means literary by the way]: Riot at the Rite, Women in Love, Tipping the Velvet, and so forth. But now she doesn’t even look like herself. Catching (ooh, a pun) Salmon Fishing in the Yemen the other day I found myself strangely attracted to Ewan McGregor’s wife. Given that she is unsympathetically portrayed I was troubled by this phenomenon, and only halfway through the film twigged that this was because I was watching someone I already adored but who was playing against type!!! These actors, eh? You don’t get that kind of versatility with your Hollywood movie stars!